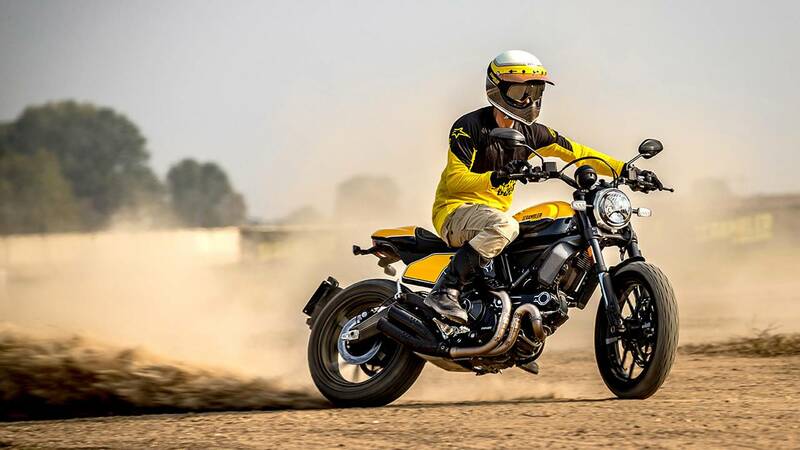 More is better and when it comes to the number of versions of the Ducati Scrambler, we have to agree. Live from Germany, Ducati showed not one but three new variants of its Scrambler at Intermot and we’re all over them. The Scrambler is a surprisingly capable bike—a proper scrambler with a gnarly personality that doesn’t shy away from dust and gravel. 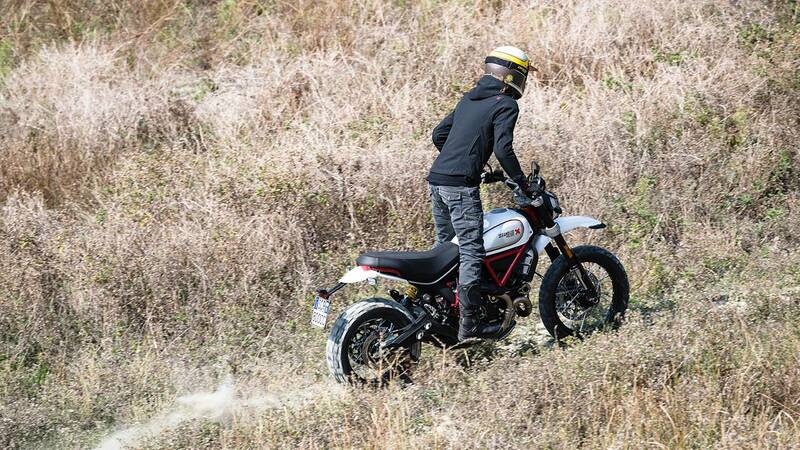 Despite its wild side, the Scrambler has a bit of a tamer look, like a dormant agent. 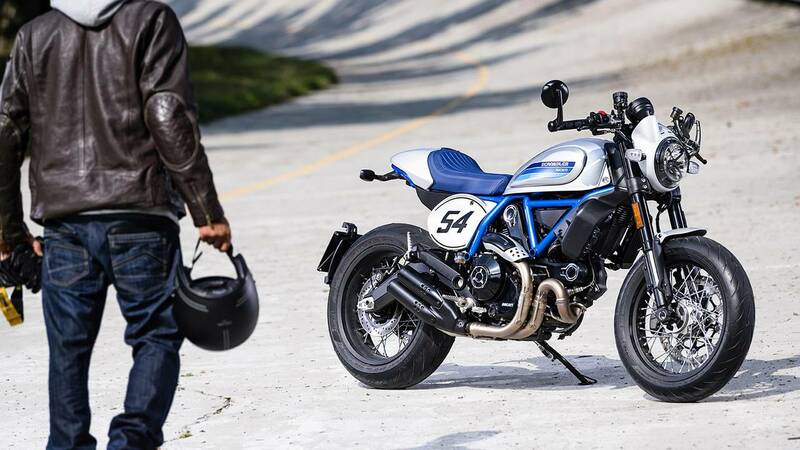 That is until now—Ducati put a few of its designers on the case and they came up with three pretty sweet-looking versions of the Scrambler: the Full Throttle, Café Racer, and Desert Sled. If you needed more convincing that flat-track is taking the motorcycling world by storm, here’s yet more proof. The Scrambler Full Throttle is inspired by Frankie Garcia’s Super Hooligan flat-track Scrambler he road this season. Clad in yellow and black, the Full Throttle also gets a side number holder, a new set of wheels as well as a new perforated saddle with contrasting stitching. The Café Race is self-explanatory: the Scrambler gets a retro treatment. The styling is inspired by Ducati’s 125GP Desmo from the late 50s. The model is offered in a bright silver and blue color scheme, complete with vintage Ducati Scrambler badging. It also gets clip ons mounted with bar end mirrors as well as spoke wheels and a blue saddle. Last but not least is the Desert Sled that pushes the concept of the scrambler a step further. It’s is fitted with knobby Pirelli Scorpion Rally tires, combined with Kayaba adjustable suspension and an Off Road riding mode that disengages the ABS. The Desert Sled comes in a white and red livery with matching red frame and yellow coil spring suspension at the back. 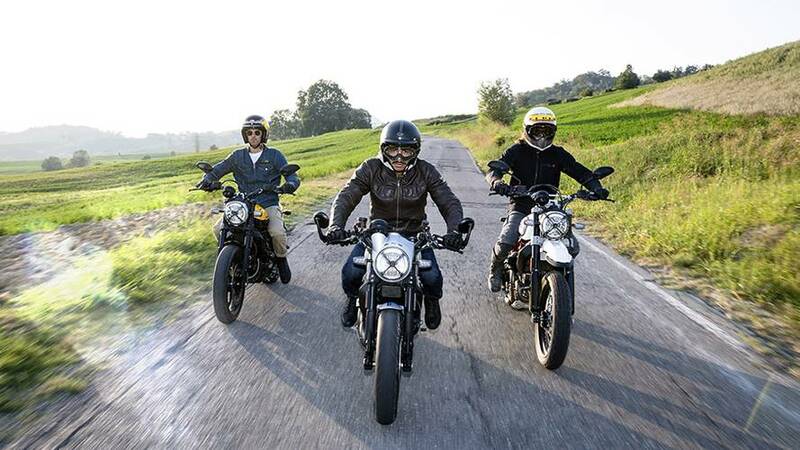 All three variants receive the smaller displacement motor available for the Scrambler lineup, the 803cc Desmodromic L-twin rated at 73 horsepower and 49 lb-ft of torque. They also receive a new LED headlight and a dual exhaust tip. 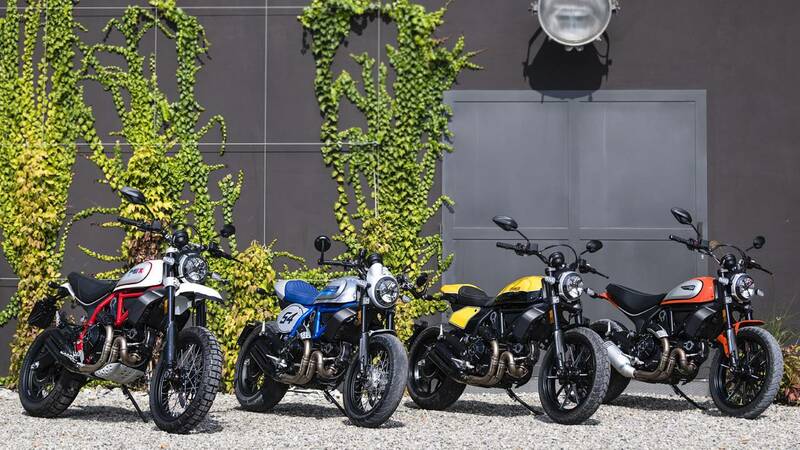 The three new variants join the Scrambler family now counting 11 members. Pricing and availability have not been announced yet.